Kraft Fluid Systems offers both open and closed circuit pumps from the most reliable names in the industry. Pumps manufactured by Danfoss, Haldex Hydraulics, and Geartek are designed to provide long service life with high efficiency and performance suitable for demanding mobile applications. 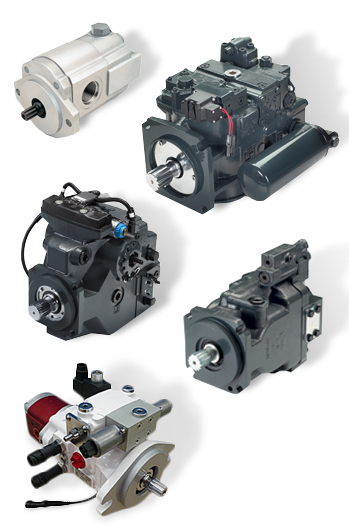 At Kraft Fluid Systems, we save you time and money by helping you select the best hydraulic pump for your application. Learn more about our pump offering by calling us at (800) 257-1155. Both Danfoss and Hydro-Gear closed circuit pumps offer the versatility to handle a broad range of applications. Browse the manufacturers’ product pages below to find the right pump for your application. Pumps are available from Kraft Fluid Systems for a variety of open circuit applications. From low volume, low pressure requirements to high power applications, our certified hydraulic specialists help you select the correct pump. Contact us today to learn more.